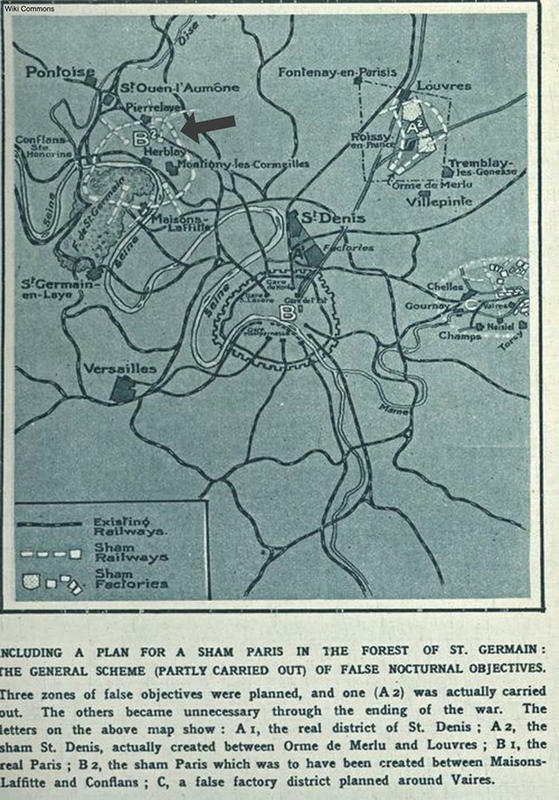 Towards the end of World War I French military planners hired private firms to help build a fake with a faux Arc di Triomphe and Goud du Nord among its many “landmarks.” Viewed from planes above, the fake city was supposed to throw off German bombers. Paris 2.0 was built on a part of the Seine that, when viewed from above, looked similar to the section running through Paris. The dummy city was planned with features that closely resembled the real Paris when viewed from a German Gotha airplane. 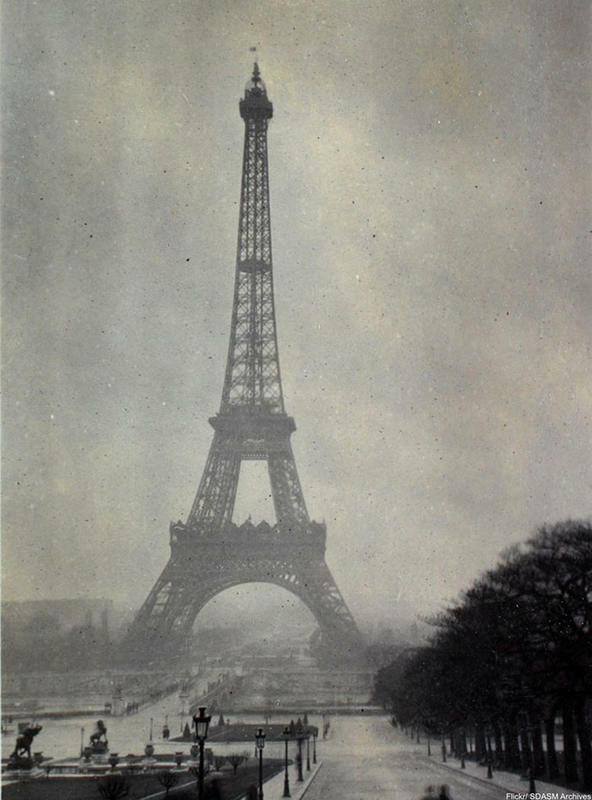 Ferdinand Jacopozzi, the same electrical engineer who later would illuminate the Eiffel Tower, was the one hired to give the fake Paris a realistic glow. Jacopozzi designed a system of colored lights and even devised moving lights to mimic trains moving through the night and machinery work. Armistice Day came just as the fake Paris was about to be complete and so the concept of a 1910s decoy city was never put to tactical use. The deconstruction process happened very quickly too, which means only a few Parisians know about this second Paris. The only visuals that remained on this fake city are the maps (above) which show how the city was to be laid out. 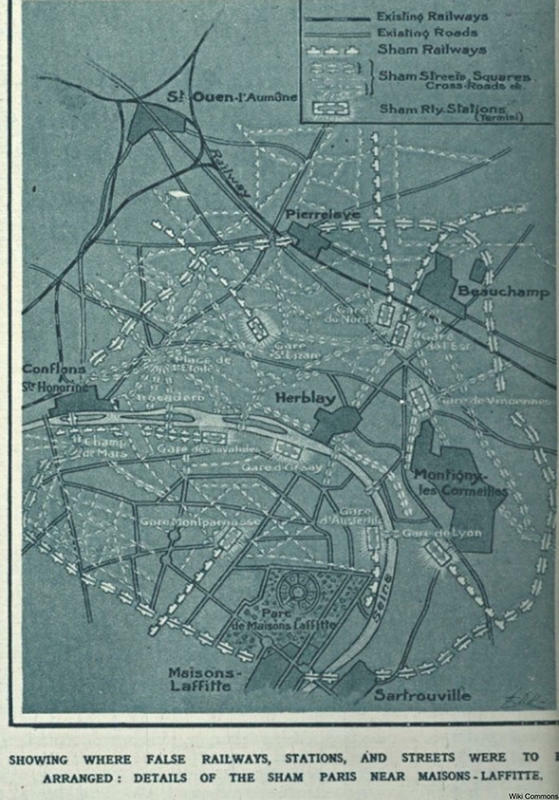 While fake burned out cities successfully diverted German attacks on English cities during WW2, it’s unclear whether the fake Paris would have worked successfully. What we do know is that the secret project of fake Paris was long forgotten and most (if not all) of the fake Paris has long been destroyed or built over.